Divorce to Healing – For those affected in any way by divorce and are in the process of healing. 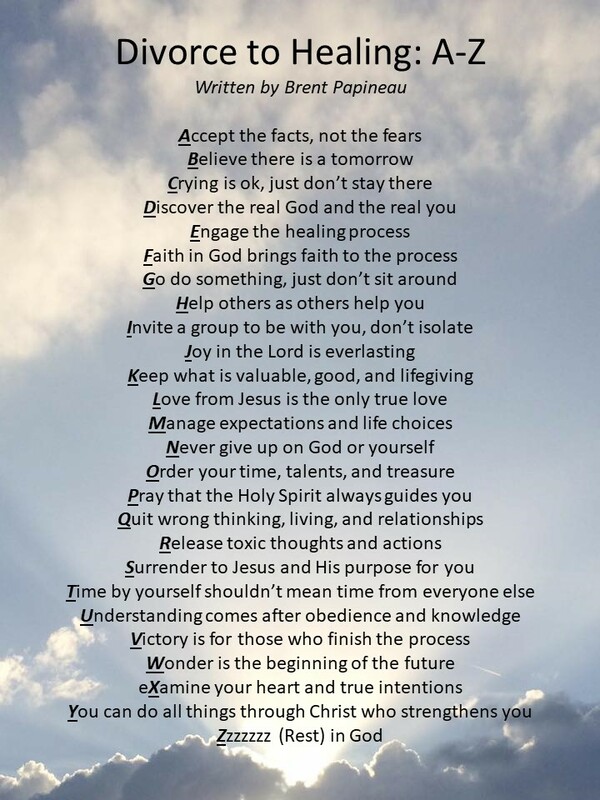 For those affected in any way by divorce and are in the process of healing. Do you find yourself in a place where you can’t move? 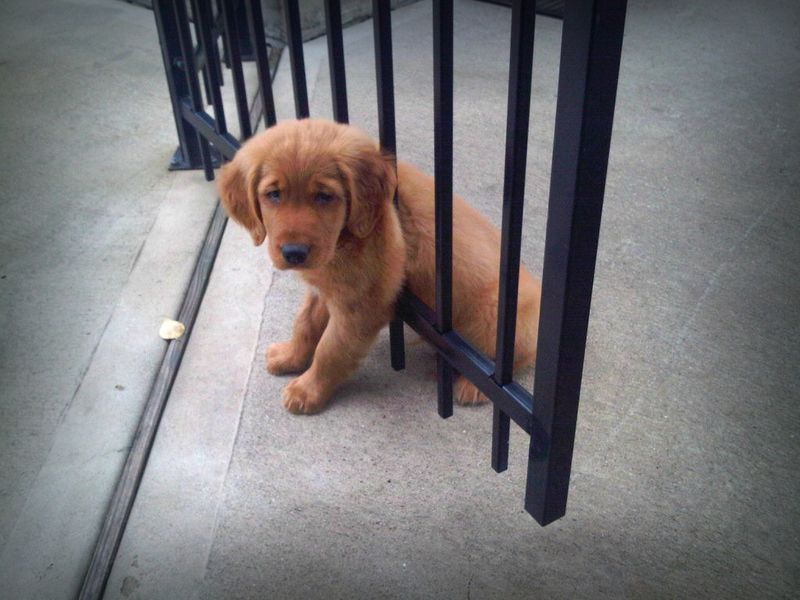 Have you realized you are stuck in something or somewhere that is keeping you from moving on? Most people adore puppies. Just like our young and innocent furry friends, there are times when we end up in situations that we thought would go much differently. It looked safe and fun before, but now it is only frustrating, exhausting, and humiliating. At times, divorce and separation will produce seasons when we feel that nothing is happening. You can’t get over what he/she did. You are praying for reconciliation, and it seems like all they want to do is ignore and hurt you. Sometimes it involves your children more than you. They don’t know how to process a family that does not look like it did in the past. When I was little, I always thought that if you get stuck in quicksand, you were going to get swallowed up and never be seen again. Growing up on a farm in North Dakota, little did I know that it was not a huge problem out in the rolling hills and valleys filled with cows. For a while, if I ever saw sand, I figured staying away was the best option. Just in case. Come to find out, you CAN survive getting stuck in quicksand. What a relief!! First thing to do is NOT to panic. Realize that the ground you are on is not solid and that you can’t just walk yourself out. The quicksand weighs you down, pulling you under as you spend your energy trying to get out. Second, you need to change your position. By laying on your back, hands raised and extended above your head and out as far as possible, you are spreading out your weight over a larger area. It changes the effect of your body weight. The quicksand is not actually “swallowing” you up, your weight is actually pushing you down as the quicksand is holding you there. Just like in a pool, a back float helps you to stop the sinking and helps you gain control over the effects of the quicksand. Third, calmly continue to lay there as your legs and feet started to join the rest of your body at the surface. Make sure you spread them out like your hands, out as far as you can. All the while, remaining calm will help you conserve your energy to actually get unstuck. Fourth, make your way to solid ground. If you have another person nearby, they can throw you a lifeline (rope, long pole, branch, etc) to help pull you out. If not, you need to do this on your own. By slowly moving your hands and feet like you do in the pool, work your way to the edge of the quicksand, where the ground is solid. Eventually you will be able to slide yourself back onto solid ground. If you have made it this far, you may wonder why I went into detail on how to get out of quicksand. Well, think of the quicksand as sin, unforgiveness, depression, or whatever has you STUCK. Don’t panic!! It only makes things worse. It causes you to spend your energy on the wrong things and actually makes the situation worse. It causes more of the “quicksand” to attach itself to you and adds more weight to your own body weight that is already causing you to sink. You need to change position. You need to lay back and raise your hands. Rest and surrender. Not to the quicksand, but to Jesus. Fully and completely, or else the “quicksand” will just continue to weigh you down. If you are not a follower of Jesus, you can do that right now. Say, “I surrender to you, Jesus. All of me!!”. If you are a follower of Jesus, you need to surrender ALL of you, especially whatever “quicksand” you find yourself in. As your weight is shifted, continue to rest as you gain your strength back. Let God give you what you need to make it out. He will give you a rest and a peace that nothing or no one else can give. You will need it because you still have some work to do. You need to get back on solid ground. God is that solid ground. He is the one who can take your whole weight and hold you up. If you have a friend who is on solid ground (big key there) is able to help you, let them pull you to safety. If not, you can do this. God gives you what you need (your own hands and feet, obedience, faith) to bring you back to Him (solid ground). The end of this verse talks about running the race (our life) with endurance. We need to stay strong with an endurance that allows us to finish. Sometimes that means to rest. Sometimes that means to fight for what is right. Sometimes there is a season where we just need to lay ourselves down and surrender to God. It also says to run the race with endurance that is set before us. Whatever it is. The rest of our lives are set before us. God is ready and willing to bless you all the days of our life. We may not have asked or wanted to be divorced or separated. It sure isn’t what God wanted or planned for us as well, yet He will help and guide you as you surrender and trust Him. Romans 8:28 (ESV) 28 And we know that for those who love God, all things work together for good, for those who are called according to His purpose. He is calling to you now. He has a purpose for this season. He wants to work it all out. Have you ever thought what happens to your tears? After learning of yet more friends of mine telling me that they are having to navigate the rapids of divorce, I pondered this very thought. While spending some time alone with God on the beach after the beginning of the new year, I couldn’t help but wonder…. Is the ocean full of tears? How about the river or a lake? When you turn on the tap to wash the dishes, is it filled with lost hopes and dreams? In Psalms 56:8, David wrote “You have kept count of my tossings (wanderings), put my tears in your bottle. Are they not in your book?”. With that he is saying that God knows about our tears and he has them. If he knows how many hairs are on your head, he knows how many tears you have shed. He knows, and He cares. In the physical realm, the tear has to go somewhere. We have all seem the Water Cycle chart that shows how water moves here on earth. Whether you wipe your tears on a tissue, your hand, or let it drop to the floor, it leaves you. It now has been collected somewhere. Evaporation will eventually happen. It will then combine with other moisture and eventually come back to earth somewhere, maybe in that water bottle you just took a sip from a moment ago. Maybe it becomes a part of the next thunderstorm or snowstorm that hits. It may seem far-fetched and a little out there to think this, but while I stared out at the Atlantic Ocean, I couldn’t shake the thought that the joy and pain of others that produced those tears could be right past my beach chair. In the same ocean that I receive peace and joy from sitting and watching the waves gently crash upon the shore, who’s tears are bringing me that peace and joy? What are their stories? Have they found peace, a peace that surpasses all understanding? A peace that heals and brings wholeness to their spirit, soul, and body? I believe in some way, we are all connected by our mutual experiences, good and bad through the tears we shed in pain and joy. We sympathize and empathize with those that need a shoulder to collect those tears and rejoice with those that are celebrating victory and success. Just like the many tears I have shed over failed relationships, situations, and pain, God has used them to renew others in ways I will never be able to comprehend. My experiences and obedience to allow God to use me to encourage and counsel others on His indescribable love has allowed my tears to be refreshment to others. The tears you have shed will eventually refresh others, one way or another. Maybe you cried in their beer and then it may be sooner than later. 🙂 Maybe you will be able to tell your story to a friend or family member that is going through exactly what you have gone through. In many ways, your tears eventually bring forth new life and helps sustain life in lives and the world around you. It may not feel like it while you are shedding the tears. Trust me. They will. It you feel like sharing your story, I would love to hear it. 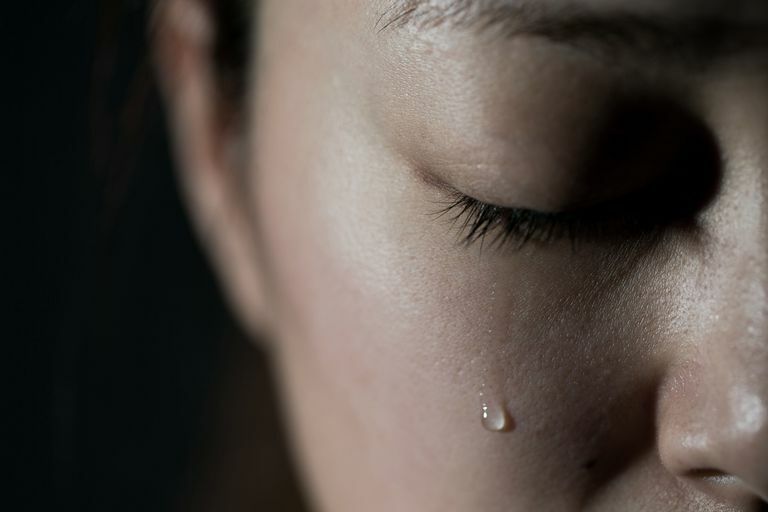 I am sure many others all over the world would be encouraged to hear about you and how your tears could bring them hope in their troubled times. Just leave it in the comments. I read them all. 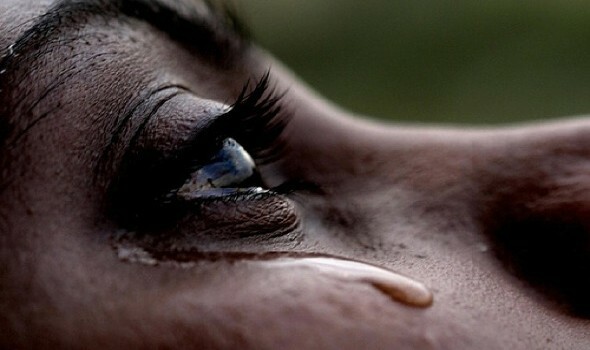 Know that God is holding record of all of your tears and He wants to be your answer to what has caused your tears. He loves you more than you will every know. He has an open shoulder and welcome arms. A tear is made up of 4 basic ingredients; water, salt, antibodies, and lysozyomes. We all know that our tears are made up of water and salt. But they are made up of far more than that. Antibodies are disease fighters and lysozyomes are antibacterial enzymes. Without these two crucial ingredients, irritants and germs can cause you severe problems with your sight as well as other mental and physical issues. You may not be able to see correctly while you get more frustrated physically and emotionally because of the pain and discomfort. Have you ever cried so hard and so long that you leave wet stains on everything around you as your heart breaks, your soul hurts and nothing seems to help you, but all you can do is to let it flow, snot & all? I have been there. I remember laying face down on my carpet crying uncontrollably for at least 30 minutes; no Kleenex and no way to stop. It seemed like hours. The pain. The hurt. The despair. God created you. And in you is a way to healing with all the ingredients needed. It is called a tear. Water is what carries the healing ingredients. It is essential for life. 55-60% of the human body is made up of water and every living cell needs it to keep functioning. The maximum time an individual can go without water seems to be a week, but the most typical time frame is only 3-4 days. You see how vital water is to our existence, physical and spiritual!! Salt is an essential nutrient that the body uses to regulate many bodily functions and is contained within body fluids that transport oxygen and other nutrients. It is also essential in maintaining the body’s overall fluid balance. Without salt, your body cannot correctly use the life-giving water that your body needs for life. Salt in the Bible speaks of value. It was used to purify and preserve, and as a way to establish a deeper relationship with others through the consumption of it. Salt values, purifies, and preserves the relationship with the water. Antibodies are crucial for the body to fight off disease and toxins. What is in our body that needs to die for life to continue must be destroyed, and antibodies do that. We have things inside all of us that need to die, physically and spiritually. For life to continue, we need to constantly battle anything that is not beneficial for us and the health of the whole body. Lysozyomes do their part for the body by digesting and eliminating that which the antibodies conquer. The trash, disease, excess and waste are chewed up and then sent packing. Our body cannot be fully healthy if what has been defeated and used up is not removed for good. Just think of all the physical and spiritual good that has been done to bring health to the body. For us to live, it must be discarded and removed completely. You may be wondering why I went to all the trouble to break down a tear. Your tears matter and your tears mean something. They speak volumes. They hold hopes, dreams, and relationships that you valued. And God knows. He knows you are hurting. He wants to give you His shoulder to cry on and His arms to hold you at this time. Through your tears, God is bringing forth life; carrying breath and strength (water) that purifies and preserves His relationship with you (salt) while defeating inside your soul the disease that is killing you (antibodies) as you digest and eliminate it (lysozyomes). Your healing is inside of you. Let go and let God do His healing work in you that needs to spring forth through His glorious living waters. My next post will share what happens to your tears. Sometimes it feels like the pain you are feeling will never go away. Some days it is too much to bear. It goes away. I had a dream last night about my ex-wife. It was surprising, but I know there was a reason for me having that specific dream. Do I know for sure why? No, but I choose to let God understand while I obey. In the dream, my ex-wife and I never expected to see each other again. We tried to play dumb with the other people around. They asked if we knew each other and we came clean. Nothing more about the dream really meant anything, other than it was set in a tv cop show setting and we were a part of a sting operation. She ended up being undercover and was caught up with the bad guys when the sting went sideways. The dream ended with them on the run. I dream maybe 5-10 nights a year so it is rare for me. It took a few minutes to register. When I dream about someone, I feel that it is God’s way of saying “Pray for (whomever)”. Why did I pray for my ex-wife when she is the person who hurt me deeper than anyone else in my life? Because I believe God put her on my mind to pray for her. Simple as that. It may be her or her family’s health. Maybe someone passed away. Maybe she lost a job. I don’t know, but if I believe God wants me to pray, I need to pray. What did I pray for? That she and here family are ok physically, healed and whole. I prayed that they would experience God in a fresh, new way and that they would be blessed. 18 years ago she ripped my heart out, trampled on it, and threw it in my face as she laughed and walked away. At least that is how it felt. How could i pray for her now? Because I allowed God to heal me completely. It took time, but by being open to the Word of God, it allowed the Holy Spirit to mend up the wounds of my heart and mind. I made a choice to love God and be obedient to what I feel He calls me to do, including praying for my ex-wife if He wants me to. It also allowed me to check how my healing is doing after all of these years. If I still felt pain, anger, or any other feeling other than thankfulness for His grace, mercy, and love; I need to deal with that. Time doesn’t heal wounds, a faithful and honest relationship with Jesus does!! Most of you that are reading are newly divorced or still within a few months or years of your divorce. How would you deal with a dream about your ex? My prayer for you is that you continue down the path of healing and wholeness that God has for you. It takes time, tears, forgiveness, and God’s love to get there. Day 31: “Joy” Joy in the natural can be simple to attain and yet fast and fleeting. Joy in the spirit you don’t even need to worry about. It is always there, encouraging and calling you into a greater life. It may even bubble up in uncontrollable laughter, too. Everybody wants and needs joy, but only the joy that comes from a healed and whole heart knowing how much they are loved by their Creator satisfies. Day 30: “Peace” There will always be conflict, even in your greatest relationships. Don’t let that discourage you. Through struggle comes strength, if you use it positively. Peace is more an attitude than a feeling. You can choose to live in peace. Take the high road because in the end, the view is so much more peaceful. Peace is not an absence of conflict, it is a quiet comfort in strength. Peace is not a lack of an enemy, it is the fullness of a relationship with the peace-maker, Jesus!! Day 29: “Evidence” So many little things all the way up to the big things are improving daily, even if you do not see it yet. Each day you wake up, you are one day closer to your healing and one day closer to the blessings God has for you. Day 28: “Shame” So many more days lay ahead of you and you have so much more life to live. Don’t spend one more day feeling shame and guilt. Do something about it now. When you spend time in the Word of God, you will gain the strength and wisdom to move past all of your feelings of less than healed and whole.